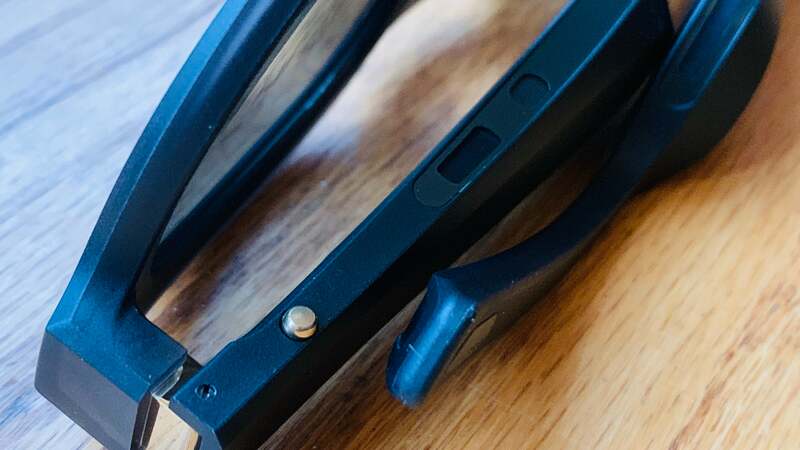 Smartglasses have a bad rep—you can thank the glassholes for that. To this day, most people still can’t help but think of the first iteration of Google Glass when anyone brings up the topic of smart eyewear. That also means people start thinking about being recorded against their will, dorky design, and absurd prices for unconvincing tech. I’ll admit I too thought that when I first heard about the Bose Frames. Smart sunglasses? Er, sure. Frames aren’t exactly like Google Glass. They have a pair of speakers built directly into the arms, which means they’re really Bluetooth headphones in disguise. They connect to your phone so you can take calls, stream your music, as well as use audio-only augmented reality apps. 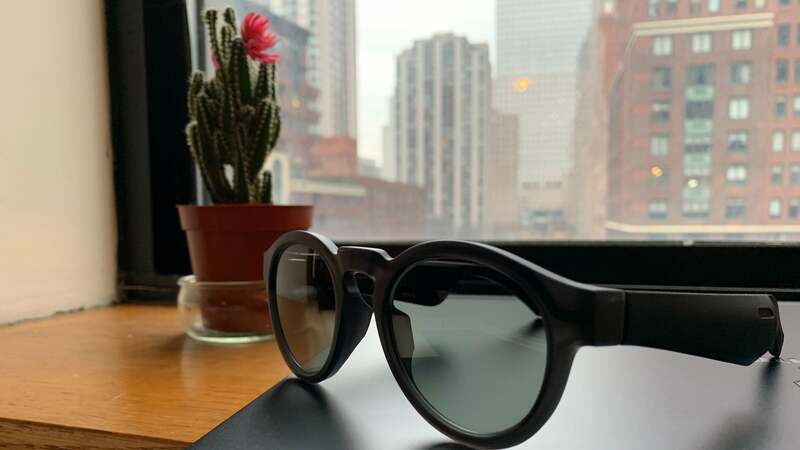 While I could see the merit of high-quality yet discreet wireless headphones, the design gave me flashbacks to Snap’s Spectacles—sun shades with a tacked-on tech angle. Who needs that, besides tech bros obsessed with having the first of anything? Like: Stylish. Decent sound quality. AR navigation can be surprisingly useful. No Like: Material feels cheap. Not enough apps support AR just yet. Not yet available in the UK. But after using them for about a week, I sit before my computer, writing this review having learned my lesson about judging products by their predecessors. The Bose Frames mostly look like any old pair of sunglasses you might see on the street on a sunny spring day. They come in two styles: the Alto and the Rondo. The Alto features a more classic, squared Wayfarer look and a larger fit. Meanwhile, the Rondo is smaller, rounder, and reads slightly more retro. 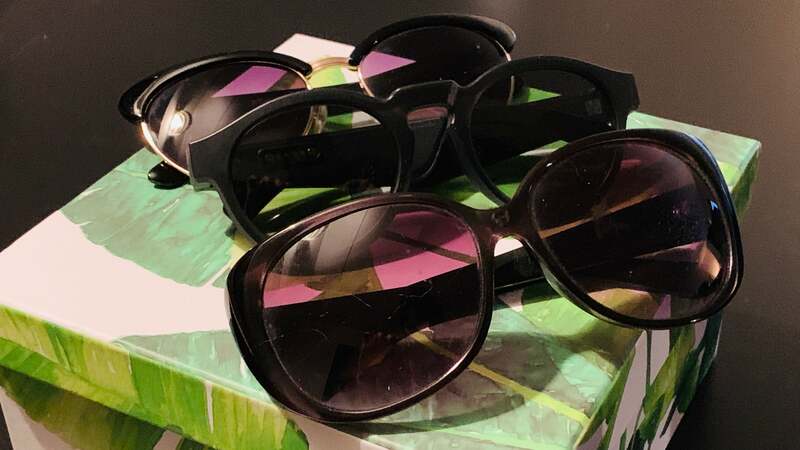 I opted for the Rondo, and found them to be stylish—though, not more so than my similarly styled Betsey Johnson sunglasses. I only have a few gripes with the design. First off, the material feels more plasticky than a $200 (£153) pair of sunglasses should. 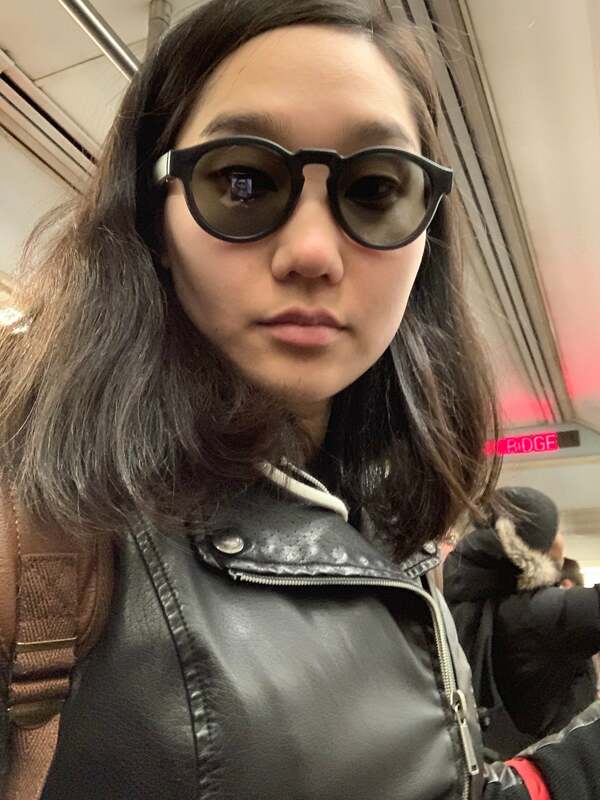 It does make them lightweight, and the nylon material is durable enough to withstand getting caught in a downpour or a sweaty walk—but you don’t get that feeling of “Ooh, yeah, this feels like $200.” I also personally found the lenses to be too transparent. 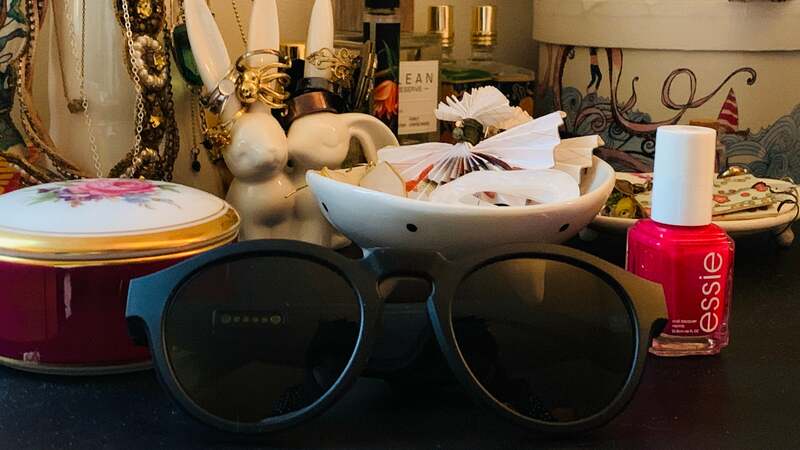 Half the reason anyone wears sunglasses—besides UVA and UVB ray protection, which the Bose does offer—is to hide shady expressions behind an impenetrable shield. If you roll your eyes in the Bose Frames, it will be noticed. It’s worth noting: the arms are a bit thicker than I’d like because of the speakers, but I found that my hair did a good job of masking that when I was actually wearing them. As for operating the Frames, there’s only one button you have to worry about, located on the underside of the right arm. You press it once to turn on the device, which will also give you a handy voice update on how much charge is left. You can press it again to pause or play a song. Pressing twice will skip a song, while pressing three times will let you go back to a previous one. To turn the Frames off, you just flip it upside down for two seconds and watch as the power light go black. When receiving a call, you can press the button once to accept or hold it for one second to decline. If you hold it for two seconds, you can either pull up Siri or Google Assistant on your smartphone. That’s a lot to remember for one button, and truthfully, it might have been nice to have maybe one other control so I wouldn’t have had to watch this reminder video multiple times during testing. Battery life on the Frames is so-so. A single charge takes about two hours, and you get about three hours of continuous use. In normal usage, I found that I could go about two days before having to charge them. That’s not amazing, but it’s about on par with plenty of wireless exercise earbuds, so I didn’t find it all that cumbersome. All that aside, the whole point of the Bose Frames is that they’re also a pair of headphones. And on that front, the Frames are impressive. Not only has Bose managed to stuff some miniaturised speakers into a pair of sunglasses, but they also made it so no one else can hear what you’re listening to. You can wear them in an office or on the train, and no one will hear what you’re listening to. I blasted Joji’s BALLADS 1 album at the Gizmodo office, and nobody heard my emo R&B jams. I even had nearby coworkers try them on, just to be sure, and I couldn’t hear a thing once I’d handed the glasses over. I also wore the Frames while getting coffee with a friend. The entire time I was listening to Solange’s When I Get Home album, but my friend never noticed until I pointed it out. In terms of volume, if you crank it up real high, you can mostly—but not entirely—drown out ambient noise. Or, if you’re trying to keep a sense of your surroundings, you can keep it at about half volume and still hear conversations and environmental noise around you while listening to your music or podcasts. As for sound quality, the Frames aren’t too shabby. You might not get the best experience on songs that rely on a thudding bass line, but for most music, the Frames are decent, if not better than expected. I also found the quality to be clearer than bone conduction headphones I’ve tried, like the AfterShokz Trekz Titanium. In general, I find that listening to music on bone conduction headphones has a hollow quality to it, almost like you’re listening at a slight distance. You get that a tiny bit with the Frames, but you have to be listening for it. Call quality is also decent—when the call goes through. A friend I called had no idea I was taking the call from a pair of sunglasses, which speaks well to the Frames’ microphone’s ability to pick up audio. I did, however, have a few issues in making calls. I tried calling my partner while on the way home and despite seeing that he picked up the phone, we just couldn’t hear each other. I hung up, he tried calling again, but this time the Frames didn’t alert me of the call, and it went straight to voicemail. This didn’t happen every time, but a few times I did have to try multiple attempts to get a call to go through. 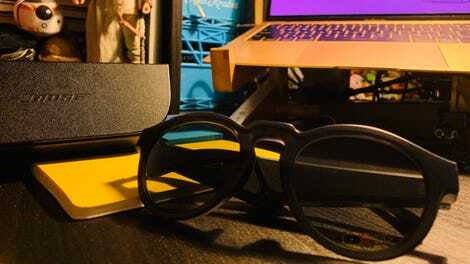 Aside from playing music and taking calls, the Frames also have an audio augmented reality function called Bose AR. When I first heard that, my brain somehow ignored the “audio” part and immediately jumped to the idea of a Hololens-esque feature where I’d see some virtual images and info superimposed onto my surroundings. That, to me, sounded stupid and unfeasible for a pair of souped-up sunglasses. But thankfully, the AR component is just audio (and clearly, I need to get my hearing checked). Audio-only AR might seem like a cop-out at first—I certainly thought it was—but after trying out some Bose AR compatible apps, I found I enjoyed it. For me, the most useful was NaviGuide. It’s basically a Bose AR-version of Google Maps, and once you input the address of your destination, you’ll receive audio cues based on your current GPS location. To test it out, I put my apartment address as my destination while exploring my new neighbourhood. The experience is similar to getting GPS directions from Google Maps while driving. I found I got cues slightly before I was supposed to turn, which led to some funny moments where my Frames told me to turn left while in the middle of crossing a pedestrian bridge. In another case, they asked me to turn right onto a street I was already on. To the app’s credit, you do get detailed instructions, so it was easy to figure out what the issue was. Since you have to calibrate the Frames by moving your head around—ostensibly so the Frames know what direction you’re looking in—it’s possible my rubbernecking threw cues off once in a while. It wasn’t the smoothest experience per se, but I found it to be a lot more liberating and safer than constantly looking at my phone in a crowded part of town. It was also neat that the Frames would give me a heads up whenever I passed a noteworthy tourist attraction, followed by what direction it was in, and how far away it was. I also appreciated that I never had to stop listening to my music while getting cues. There are other Bose AR apps, but at this point, the selection is fairly limited. Besides NaviGuide, there’s Walc—a more landmark-based navigation app (i.e., “Turn right at Boots”). There’s also a handful of audio-based story games, and Golfshot...which acts as a virtual caddy. New Balance is also slated to release an exercise app for the Frames later this year, but it wasn’t available at this time for testing. I imagine whatever apps come out may be a tad finicky at first, like the NaviGuide and Walc, but I was surprised to find audio AR more useful and enjoyable than gimmicky. The only thing I didn’t enjoy was that it requires you to download separate apps, which cramps my ongoing efforts to KonMari my phone. At $200, the Bose Frames still count as a luxury purchase. For the same price, you could buy a good pair of normal headphones or a couple of stylish knockoff designer sunglasses that are probably made from nicer materials. But, if you are going to shell out for some designer shades—like a pair of Ray Bans—the Bose Frames are kind of a deal. 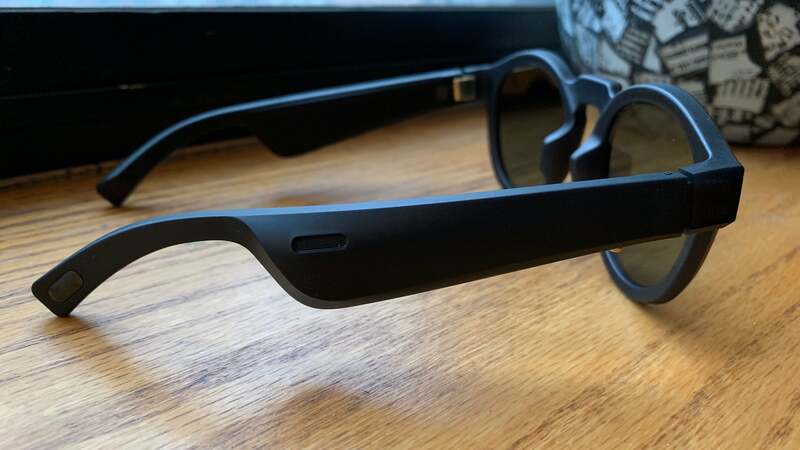 After all, you are getting decent headphones, a non-hideous pair of sunglasses, access to your smartphone’s voice assistant, and the option to try out some free audio AR apps. If I had enough spare cash lying around, I wouldn’t feel too guilty about spending them on a pair of these.